I don’t know about you but during the winter months, my skin needs a lot more hydration. I try to start incorporating some extra moisturizing products before winter actually hits to sort of boost up my skin before it gets too bad. 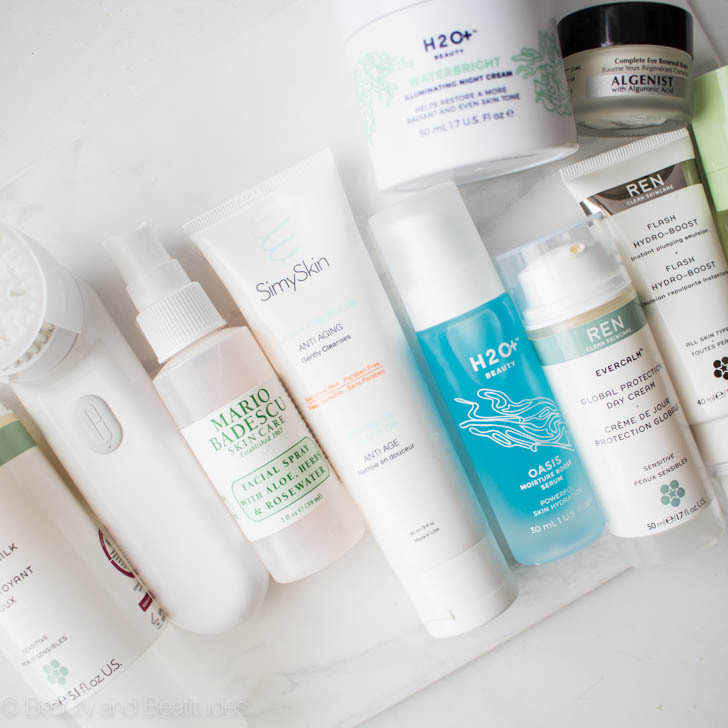 Prevention is key in a lot of things I do, but especially in skincare routines. Start by switching your cleanser to a more hydrating one. Add in a light hydrating serum to your routine. Switch your light moisturizer to a more hydrating one. If your face still feels tight after moisturizing you need something heavier. Use a gentle scrub to buff away the dry skin, make sure to hydrate after. Moisturize every single day, morning and night. Don’t take hot showers or baths. Drink tons of water, being hydrated means from the inside out. Below I’ll share the products that I cannot live without during the winter months. The key is creating a routine and sticking with it, I also like to switch up brands and products to keep my skin on its toes. If my skin gets too used to a product it becomes less effective for me. I love a gentle cleansing milk, my face never feels dry or irritated after using this one. I also love the moisturizer that goes with it. I love this and have been using it for years. This is a must for me all year but especially in the winter. I use it with my foundation primer and also after I do my makeup for extra setting power. Plus, it’s very affordable. Another must-have spray. This one has more oil aspect and leaves my skin radiant and luminous. Use this after cleansing and before moisturizing for an instant moisture boost. I’m obsessed with this. It intensely hydrates and primes your under eye area for makeup. I also raved about it here. I’m doing a giveaway with one of these jars soon, so look for that on Instagram. A perfect moisturizer for a luminous glow. My favorite night cream of all time. Everything about it is perfection. This is an instant plumping emulsion. You cleanse your face and apply this after. Then you wet your fingertips with water and massage it in. It leaves my skin super hydrated like I just came from a facial. I love this because it’s super gentle and safe for sensitive skin, it also has a blend of oils to soften and hydrate skin. I’ve been using this one this year because it’s so gentle and so effective. My skin is 10 times cleaner and brighter. A sonic brush is key in exfoliating and revealing fresh skin, plus it cleans so much better than just your hands.